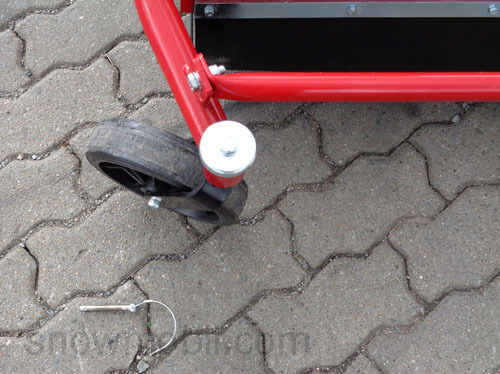 The wheels are driven permanently, i.e. 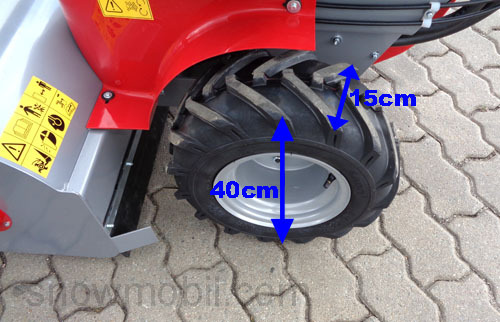 both wheels are constantly driven.. 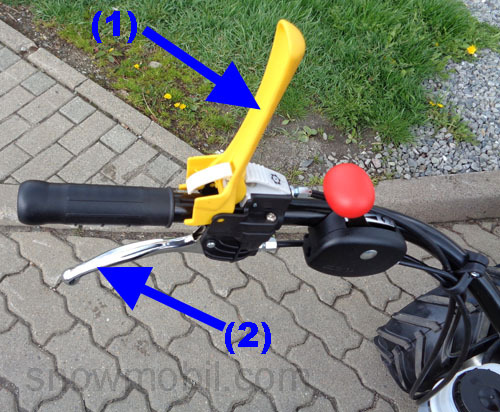 Steering levers are mounted on the handlebar. 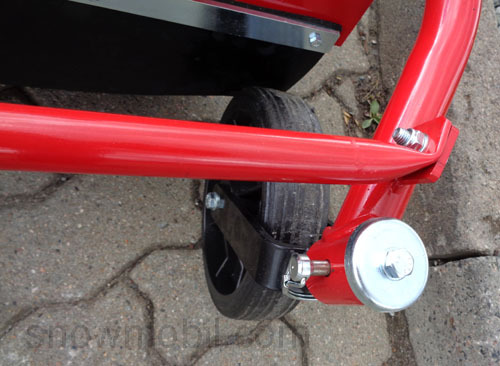 With these each wheel can be disengaged individually, so you can easily direct the machine to the right or the left. 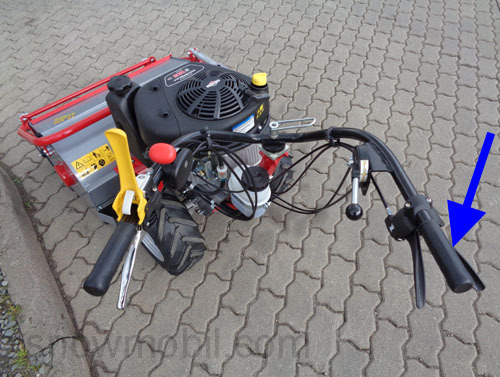 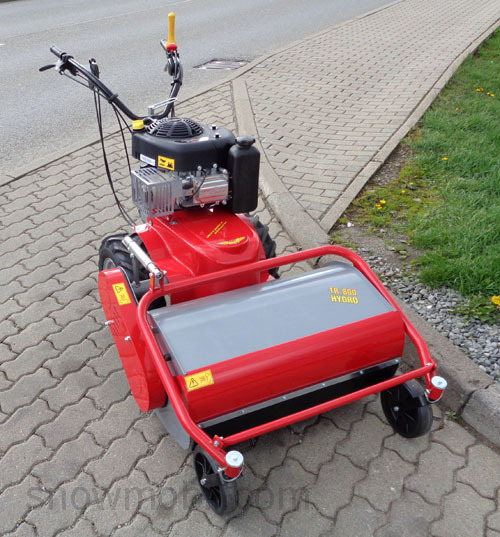 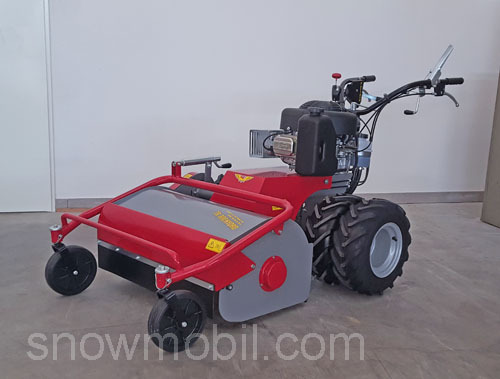 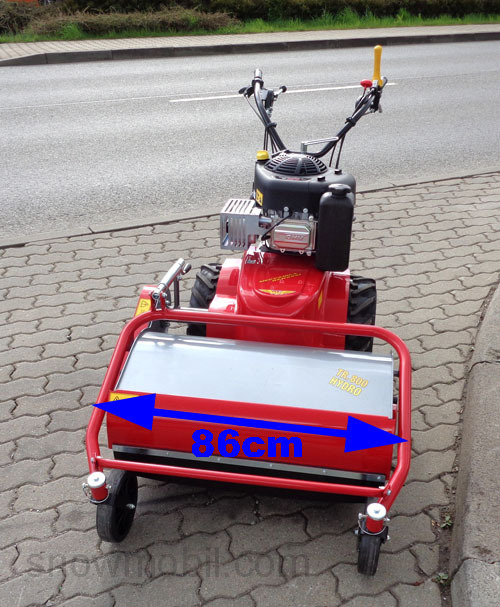 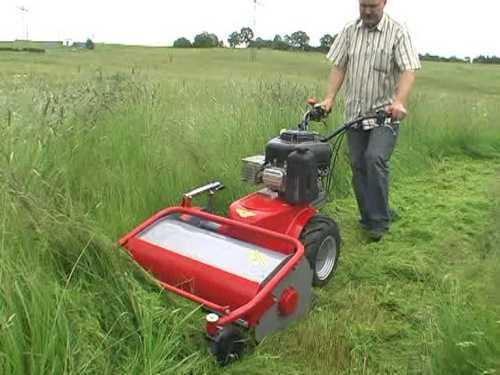 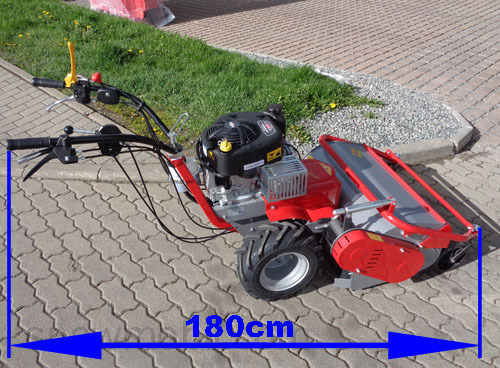 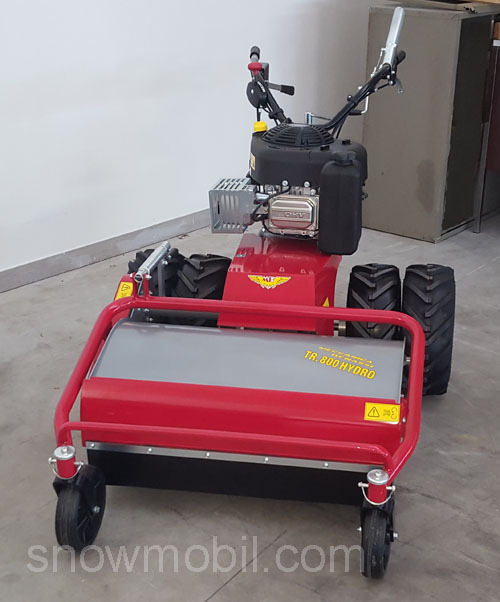 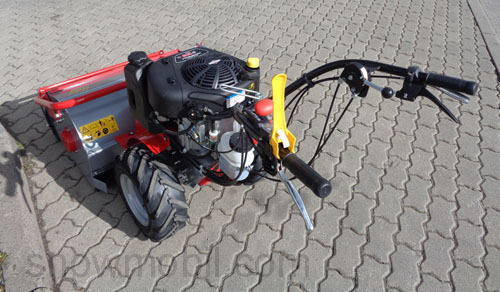 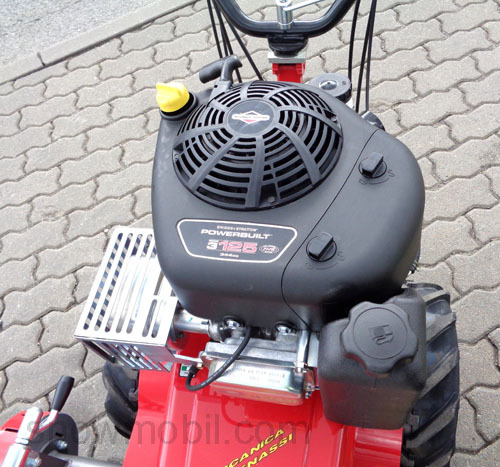 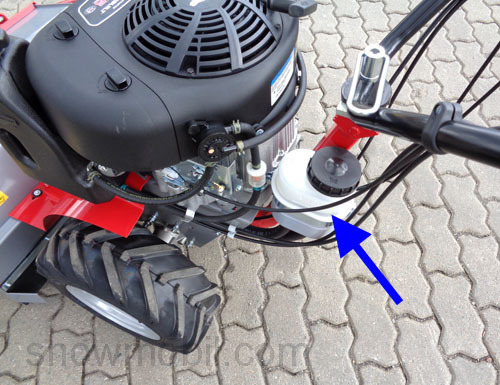 The drive system is steplessly regulated forward and backward by hand lever, so you can infinitely adjust the running speed depending on grass height. 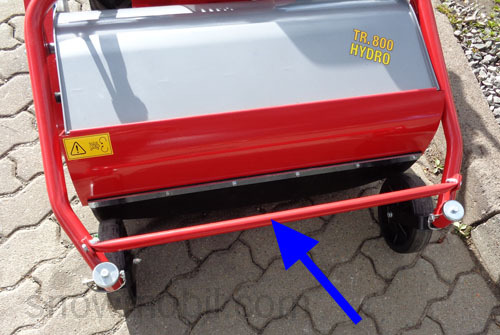 The spar can be adjusted in height in several steps. 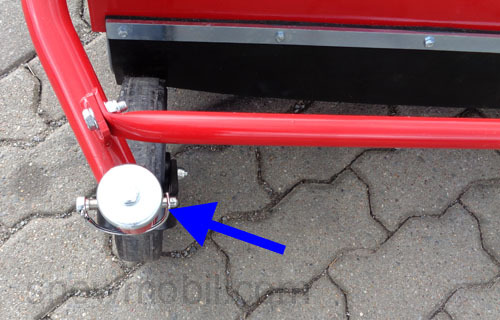 The locking of the front wheels is possible via this split pin. 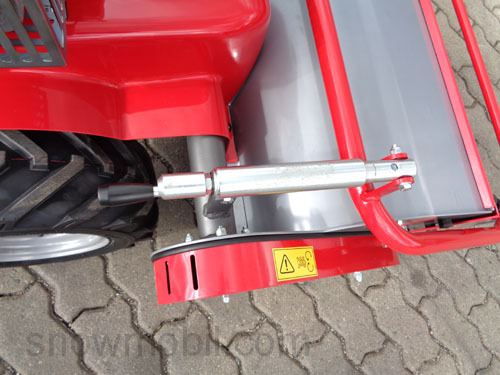 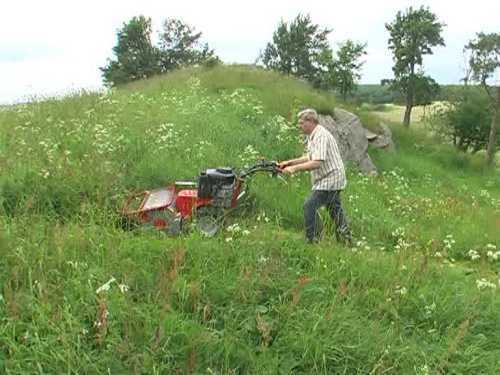 The lock is suitable for use in the slope, so the machine does not drift on the side. 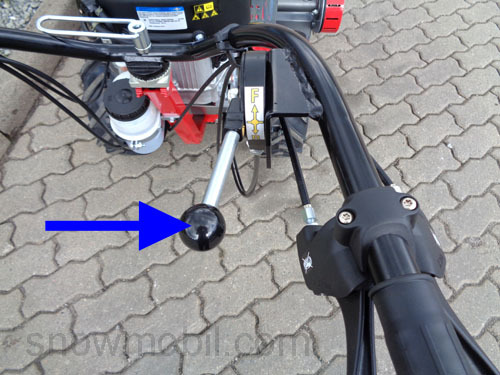 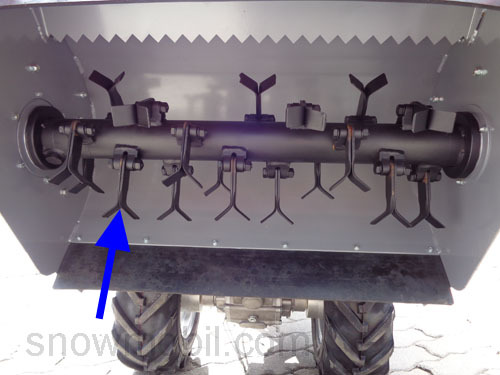 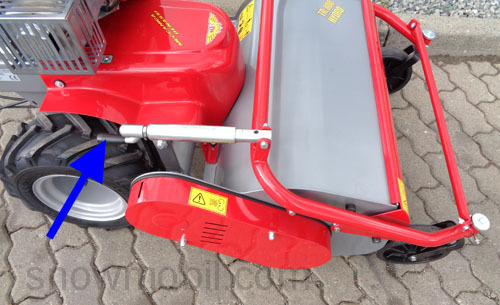 When working in straight area, ​​the split pin can be pulled and both front wheels are fully movable. 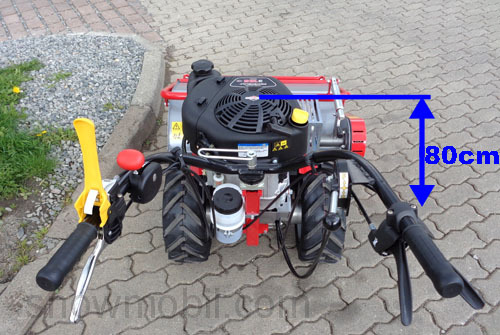 Thus you can swing it the machine without problems left and right. 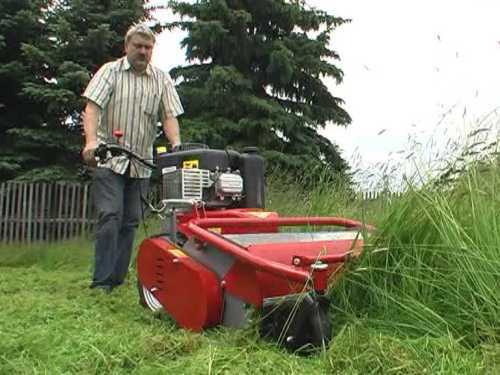 Through this rod the grass or shrubs are already pressed down.